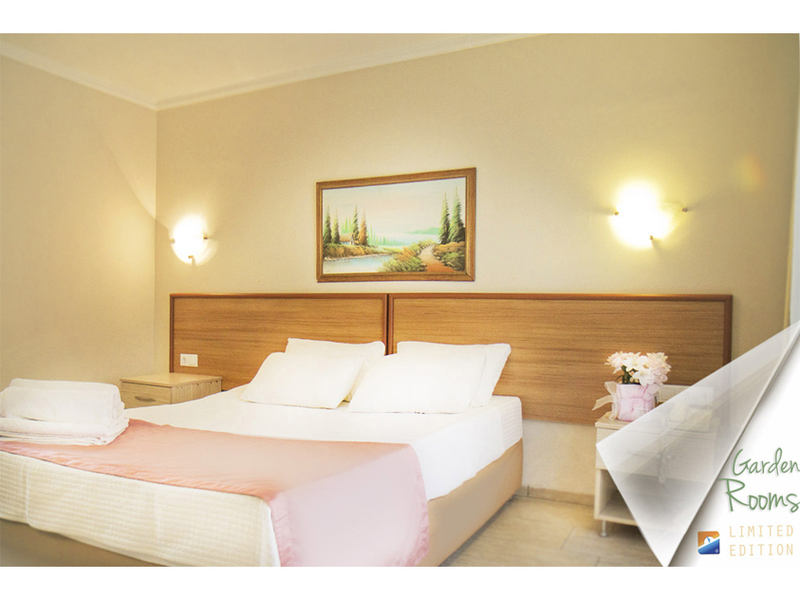 Sofabed Hotel has 23 standard rooms and 6 family rooms for a total of 29 rooms. 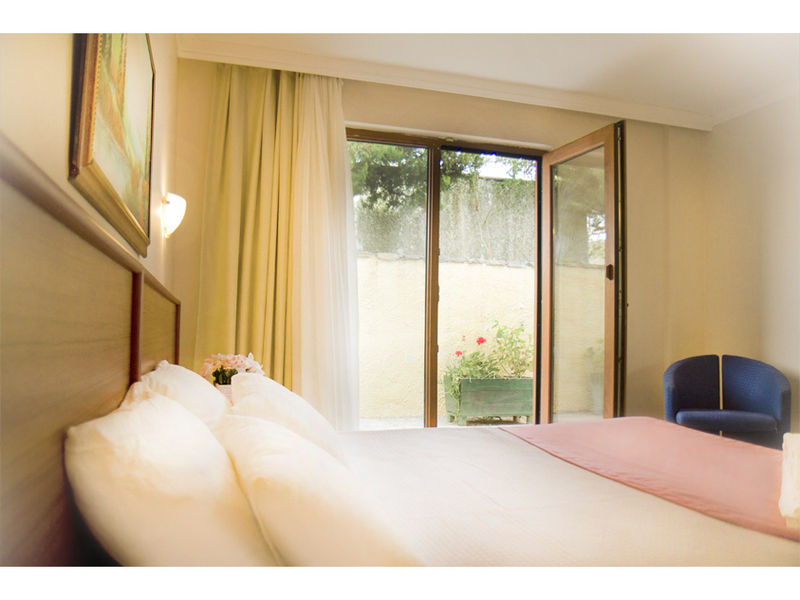 The rooms have either balconies or garden views, and have been designed with all the comforts of home in mind. 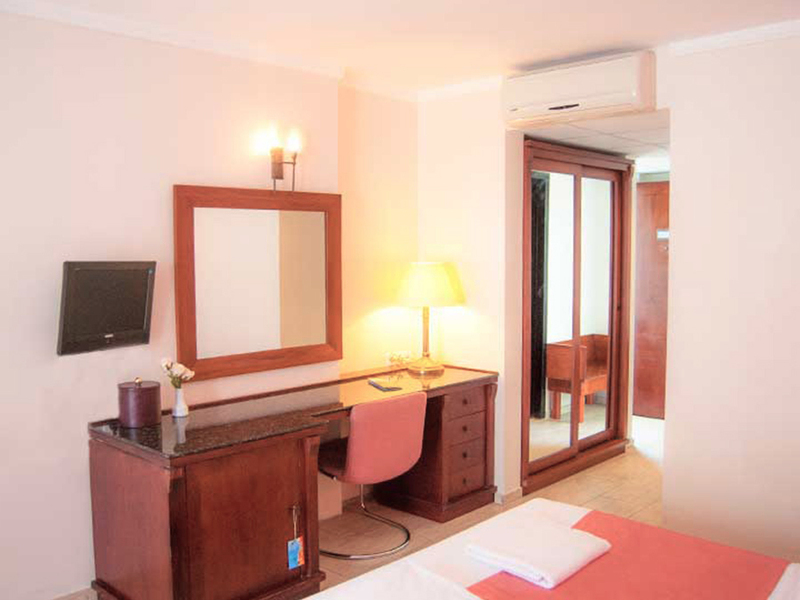 All our rooms have air-conditioning, mini-bar, LCD TV, satellite TV reception, telephone, wireless Internet access, on-suite bathroom and hair-dryer on par with the comforts of a 5-star hotel. 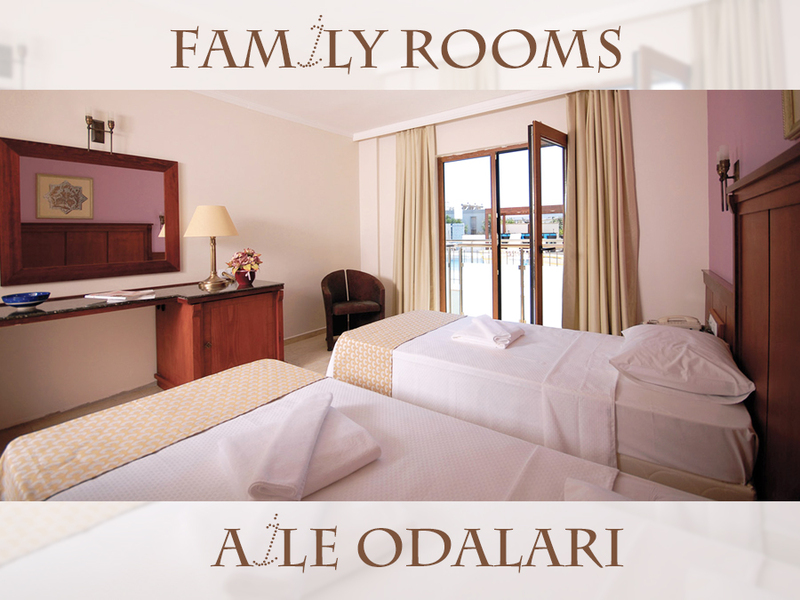 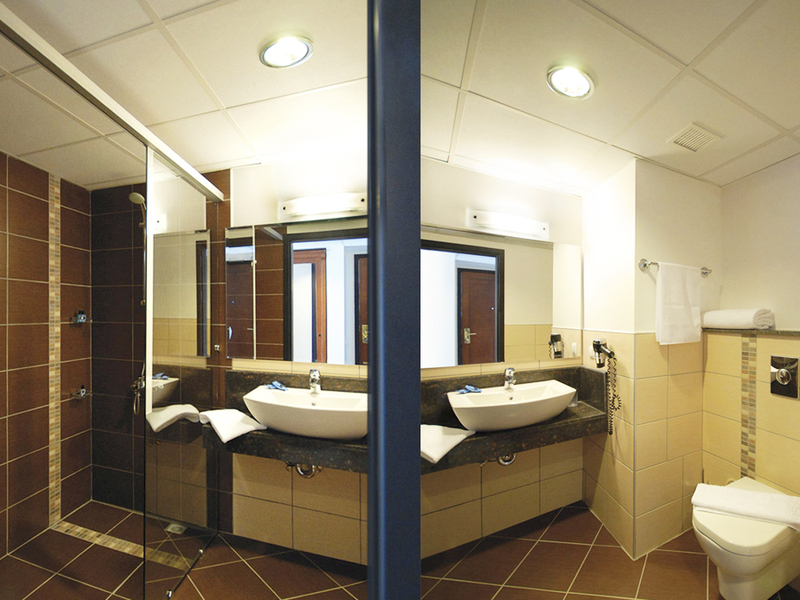 All the water used around the hotel, in the pool, as well as in the rooms is purified with state-of-the-art systems. 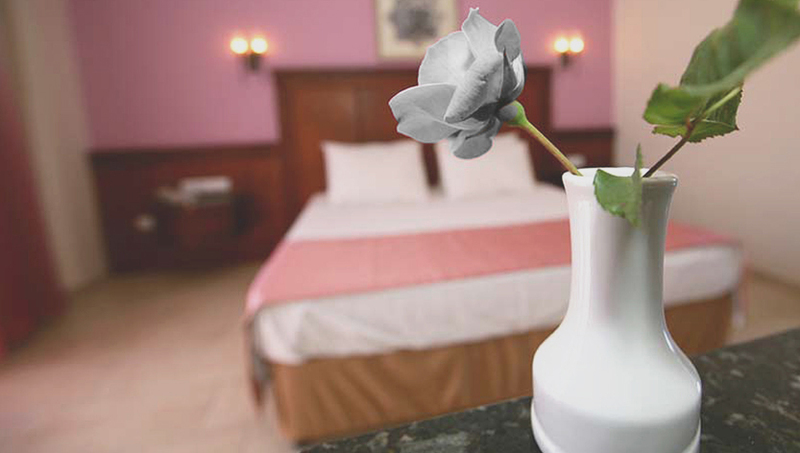 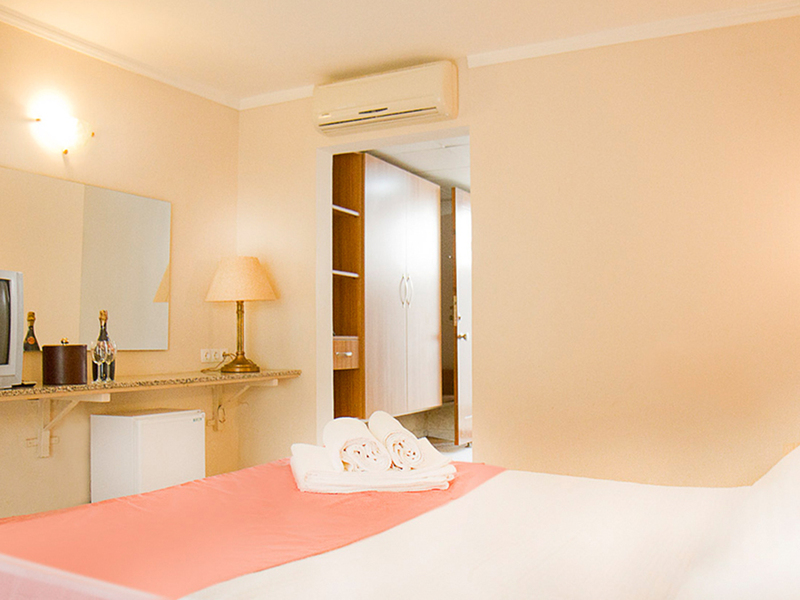 Sofabed Hotel provides services to guests all year round and all rooms been outfitted with floor-heating..